Save BIG on the new 2019 QuickBooks POS when you open a Merchant Account and purchase an EMV Hardware Bundle! Call now to save BIG! 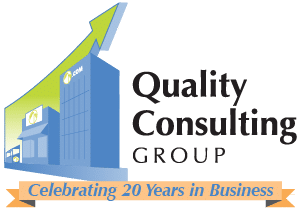 Quality Consulting Group was one of the first and is one of the few Intuit Solutions Providers specializing in QuickBooks Point of Sale from sales through implementation, training, and systems integrations. Our software and hardware bundles are 100% Intuit Direct. If you have any problems with your hardware or software, you only have to work with Intuit. All components ordered through us will arrive from Intuit directly. QuickBooks Point of Sale is a one stop shop for not only managing your inventory, but you can also market directly with your clients using Constant Contact, Email them coupons, connect your Point of Sale Database directly to your shopping cart through certain shopping cart systems, and so much more. 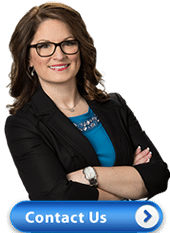 It is easy to use and it transfers all your data to your QuickBooks Pro, Premier, or QuickBooks Enterprise for easy accounting tasks. Ready to buy? Start shopping at our online store now! Click Here! We sell and consult worldwide. Call toll free at 1-877-723-7148 for a custom quote. QuickBooks Point of Sale by Intuit. Authorized Intuit Premier Reseller. OR Call us now since we sell all products at cost plus you may be eligible for special rebates! POS DESKTOP with an Intuit Merchant Account. 20% off software purchase with and Intuit Payments account. POS DESKTOP without an Intuit Merchant Account. 20% off software purchase without and Intuit Payments account. Get $200 off each additional user and 1 license in the same edition. Call Quality Consulting Group at 1-877-723-7148 for more information, to schedule a free demo, or to purchase QuickBooks Point of Sale. Returns: All Intuit products carry a email print that contains your license number and product code. POS Software returns offer a 30 day return policy. There is a 20% restocking fee and you must pay for the return of your POS Systems to Intuit through a tracking mail method and the hardware must be in its original packaging in resalable condition.